Search website go to www.skimybest.com SkiMyBest home page for private lessons with Bill Jones at Keystone, Breckenridge, other Vail Resorts reserve through Keystone Ski School at 1/800-255-3715. Bill's homepone: 970/468-7673 or email Bill. Did you come here from a link on another website? See page bottom for latest version of this page. 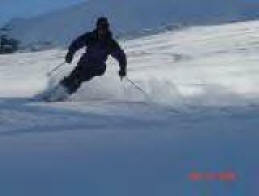 This site is not associated with any ski area. Use of any page means you accept the SkiMyBest Site Use Agreement or EXIT NOW. 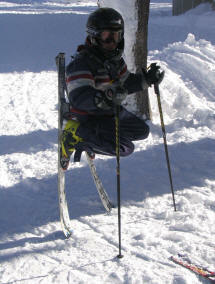 motto: "more skiing fun through efficiency from function and versatility"
Russell Jones--retired professional ski racer. Finished 17th overall on Pro Circuit best year. 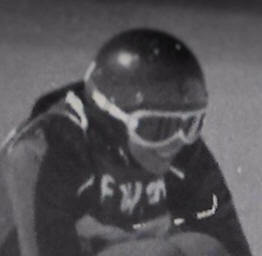 Russell winning a downhill race. Is he having fun? Go to www.truckeeriverwinery.com for great pinot noir, merlot, and zinfandel from Truckee, in the Lake Tahoe area of California, made by Bill Jones' son Russell, graduate vintner from University of California/Davis with many award-winning bottlings..
California State Championships, 2002. 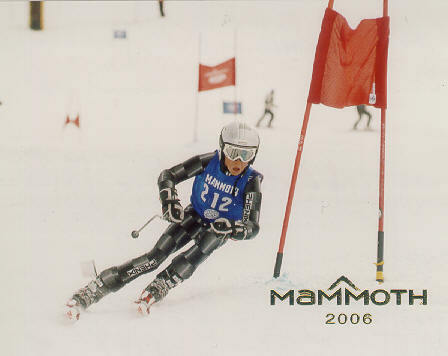 Competitor in national Junior Olympics, 2005. Meredith Plant. 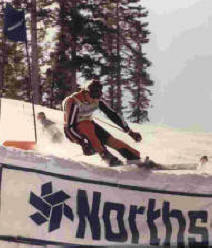 Alumnus of Sugar Bowl race team. 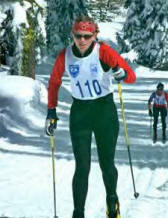 Former competitor in western section Junior Olympics, 2005. 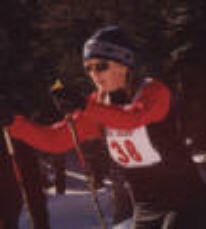 Once on the Auburn, California, high school ski race team. Also triathlete and competive swimmer. 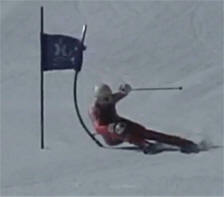 In 2012, on University of California--Davis ski team. 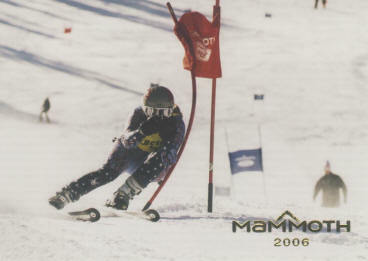 Meredith at age 16, in line for California State champion 2007 with wins in giant slalom and slalom. Raced for University of California--Davis. best of 40. 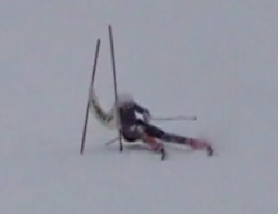 On the Sugar Bowl Race Team. Also triathlete (best in U.S. in age group) and competition swimmer. Riley knows racing isn't the only kind of fun! 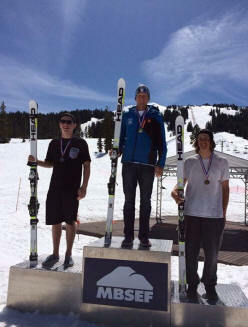 Riley leading the athletes selected at Mammoth for national championships, with team sign bearer on shoulders. 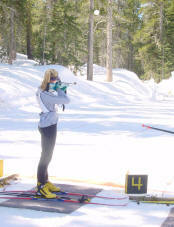 Riley in April of 2011 was invited to participate with other Far West skiers in a special training program designed to develop participants as candidates for the U.S. Ski Team. 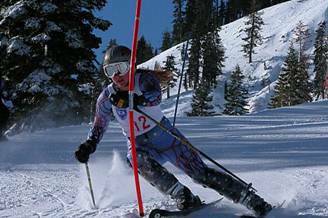 In January of 2012, Riley at 16 was second for his age group in America in giant slalom (his team-mate was 1st) and 40th in the world. 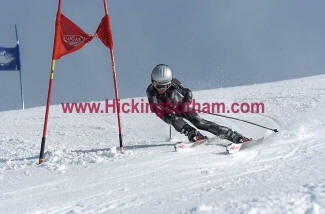 He was 20th in America in slalom. Watch this kid! Another win for Riley at Mt. Bachelor, Oregon, April 11/2014. 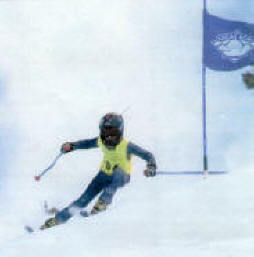 Riley, March 2015: on the Middlebury College ski team, selected for the National Collegiate Ski Association national championships. Also raced for Middlebury at NCAA in 2016 at Steamboat Springs. 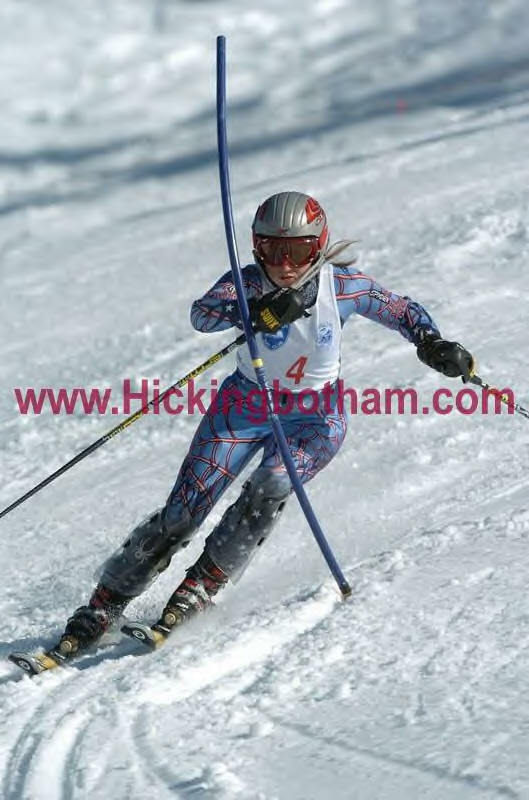 In the giant slalom race were the 34 best college ski racers in America (actually most were recruited from Europe). 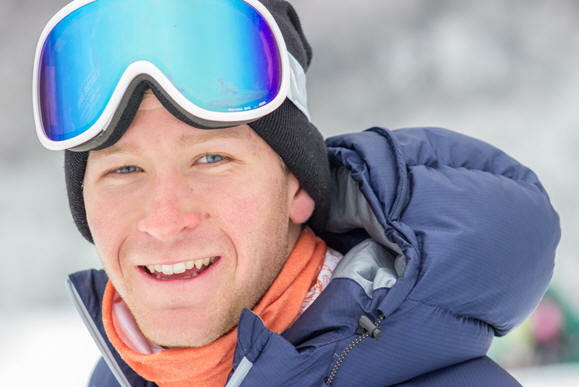 He finished the two runs in the race and was best of those in the under 21 year class (most of the racers were seniors), best of his Middlebury College team, and 14th best overall in America. 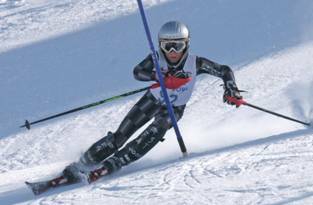 April 2016: Riley is now ranked for his age group (21 years) 3rd nationally in giant slalom and 29th in the world. 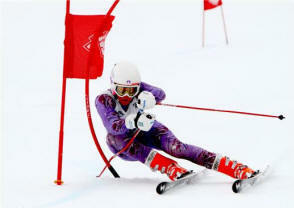 Riley is 5th of all ages in the USA in slalom, 46th in the world. 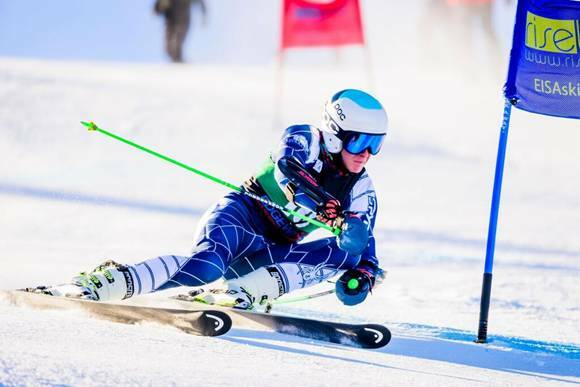 September, 2016: Riley is now ranked 3rd best American ski racer in his age group in giant slalom (25th of all ages) and 29th best in the world in his age group. 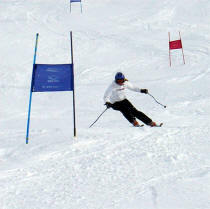 For slalom he is ranked 6th in the U.S. for his age group (37th of all ages) and 48th in the world for his age group. 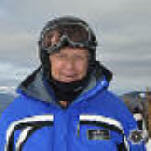 Graeme Plant, Meredith's and Riley's father, Bill's son-in-law, heli-skiing in British Columbia. This "Bill Jones' Family Album" page last modified 11/03/2017 07:21:35 AM. Did you come here from a link on another website? 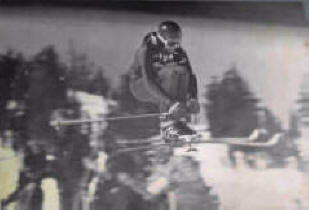 For latest version of this page, copy to your browser: http://www.SkiMyBest.com/skialbum.htm. Copyright © 2013, 2014, 2015, 2016, 2017, 2018, 2019.William R Jones.